It's all about creating memorable experiences, says Louise Goalen, chair of HBAA. 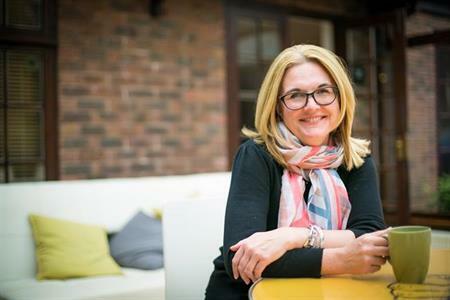 Top Banana's head of venues and chair of HBAA (the trade association for the hotel booking agency, apartment and venue community), Louise Goalen, gave her predictions for meetings and events trends for 2018. Among the trends that she expects to see is "more being spent on meeting content and event production – it’s all about creating memorable experiences." This is in direct contrast to predictions made by Russell Allen, founder of Crescendo in C&IT’s agency prediction round up, where he said: "Demanding ‘more for less’ has become less of a trend and more of a modus operandi for many brands and businesses in the last decade. Clients want to see more of their budgets going into the experience and the event and not into large management fees and costs." The idea of memorable experiences for delegates, which are also sensitive to budget concerns, can be realised through a storytelling approach according to Laura Capell-Abra of No More Ifs And Buts. "We have gone through a phase of austerity in our events where budgets were tight and clients couldn't be seen to spending money frivolously. "That hasn't necessarily changed but what we are seeing is that we can be even more creative with budgets and experiences to make them more snippets of light-hearted entertainment while really focusing on the deeper messages. This is storytelling at another level," she said. Erica Livermore, managing director of Prestige Reservations, an agency specialising in hotel and conference booking, agrees that "operators and corporates will increase their focus on the guest experience." She also added that the industry will see "a greater push by brands on the adoption of dynamic pricing, which astute agencies and corporates will only adopt where commercially advantageous." However, agencies are set to have more involvement in the event process according to Goalen, as clients "incorporate them into their own events teams, underlining a greater appreciation of the value of the agency’s role." "Although the changes are more evolutionary than revolutionary, there are many significant developments across nearly all areas of this industry at present. It will be intriguing to see how they progress over the year," said Goalen.